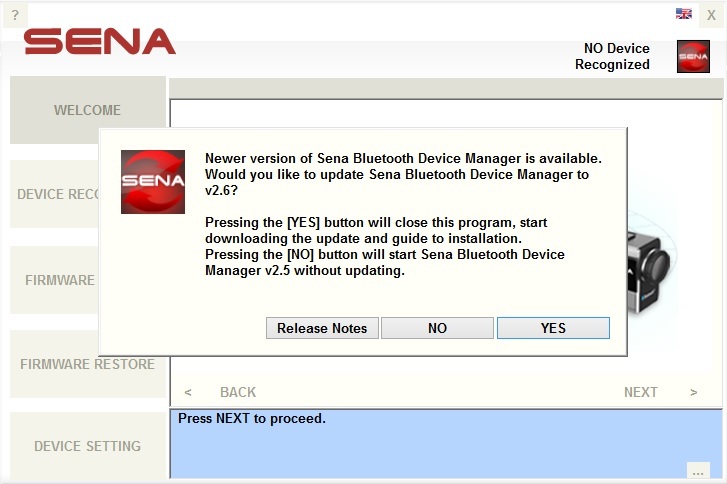 On launching Sena Bluetooth Device Manager, the [Welcome] page opens and then the manager pops up the [Manager update] screen only if there is new version of Sena Bluetooth Device Manager on the server. : closes the manager and downloads the new version of manager to update the manager. : closes the [Manager update] screen without updating the manager. : opens the release notes.